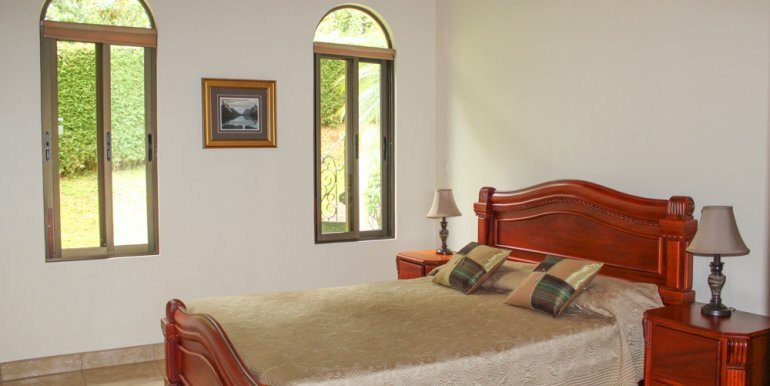 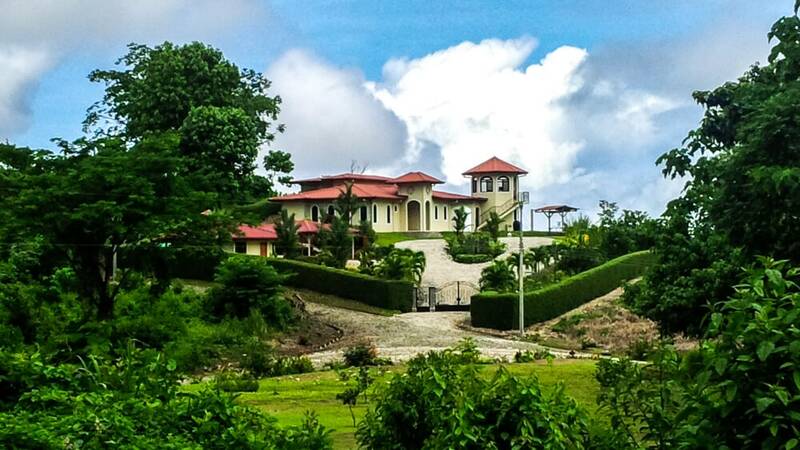 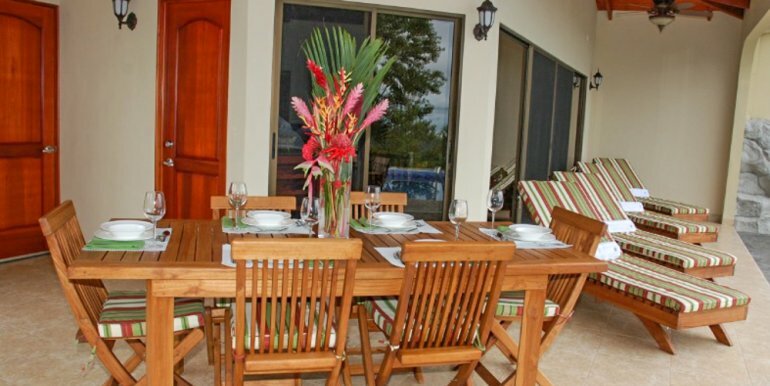 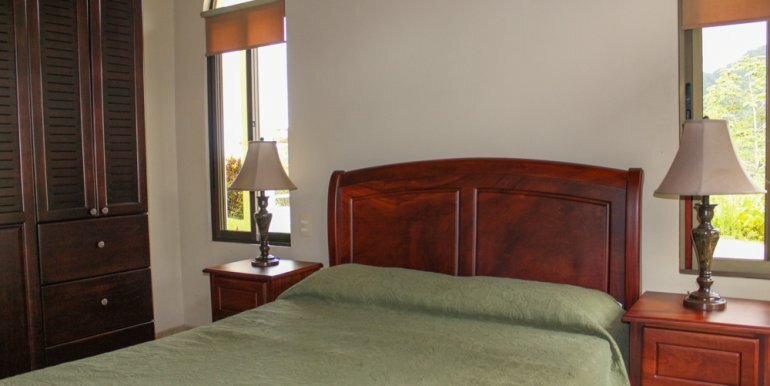 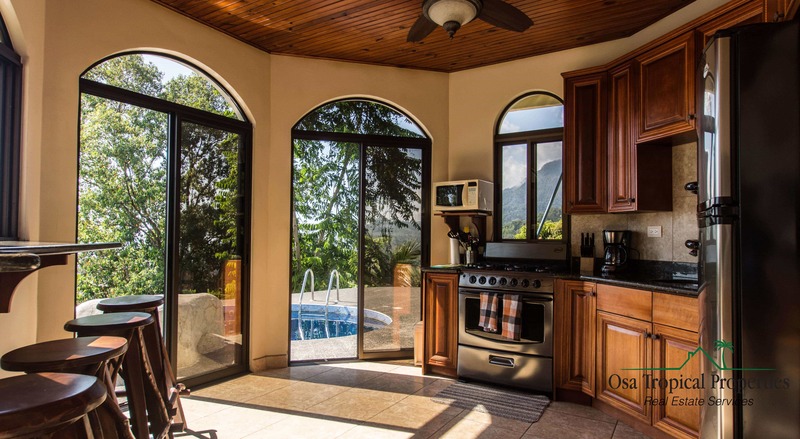 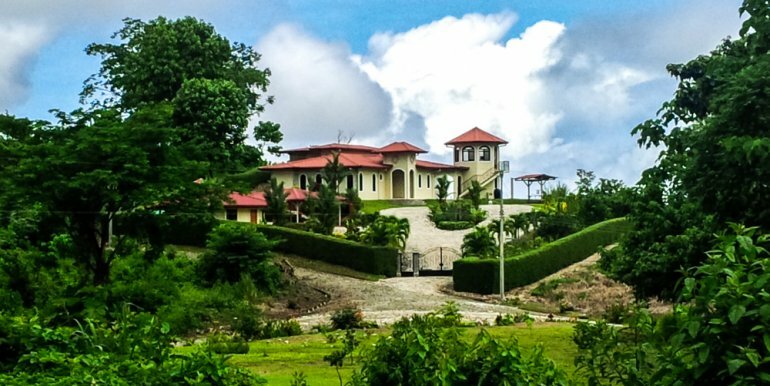 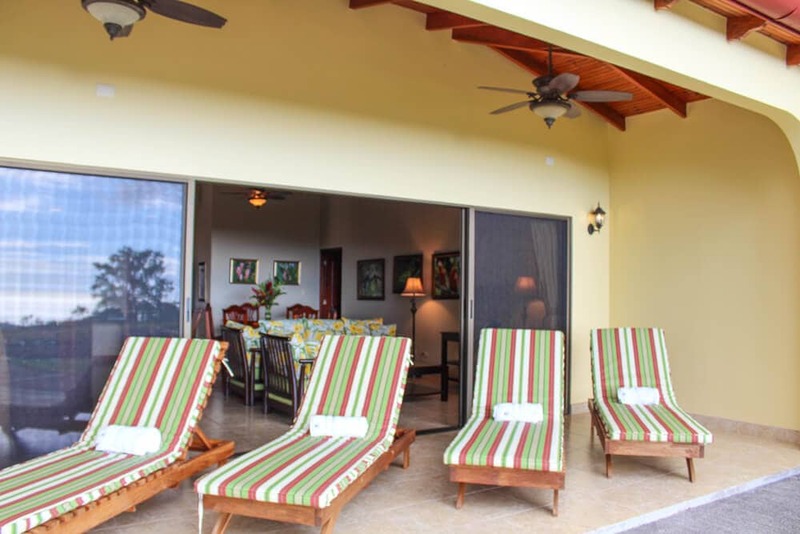 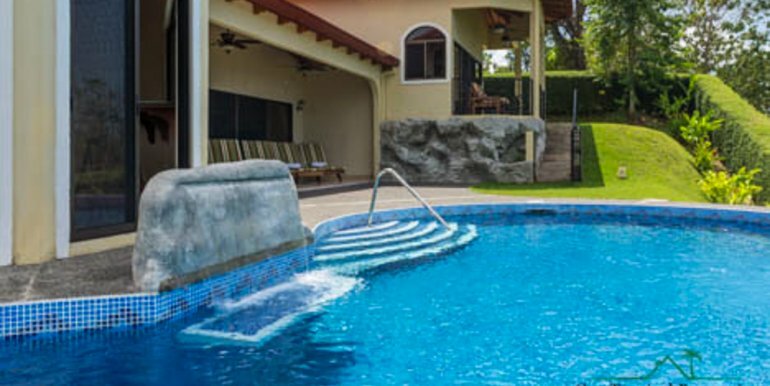 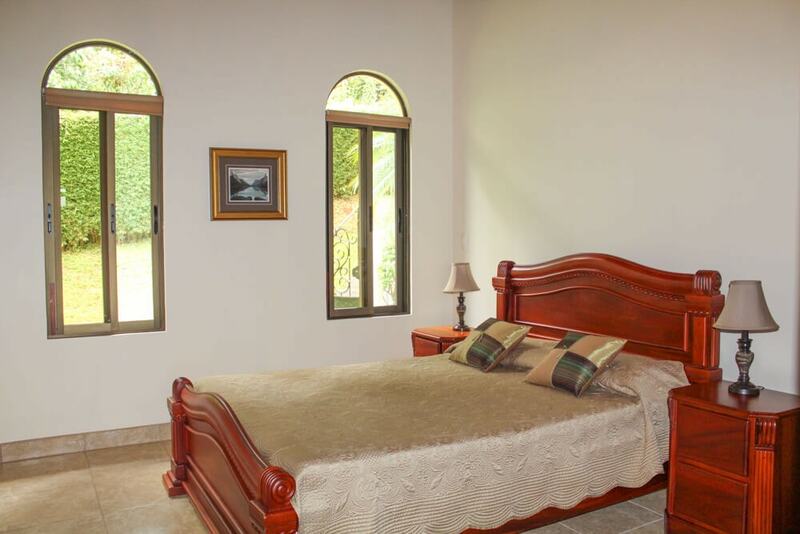 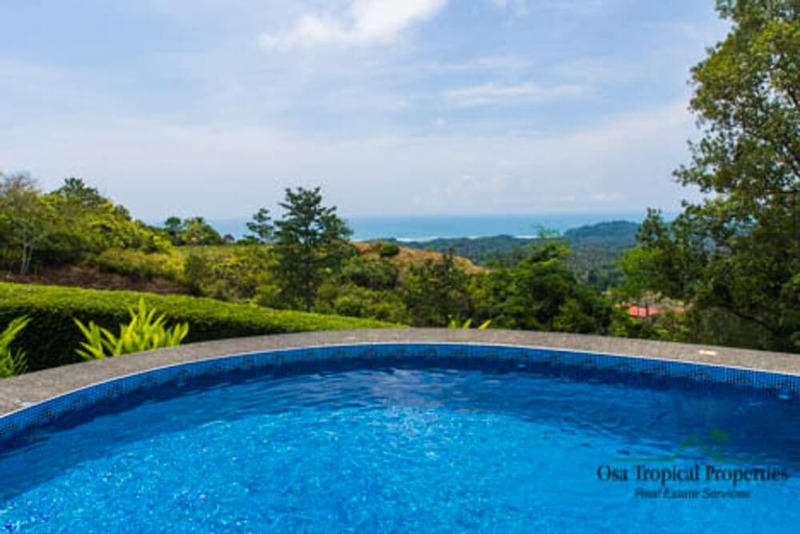 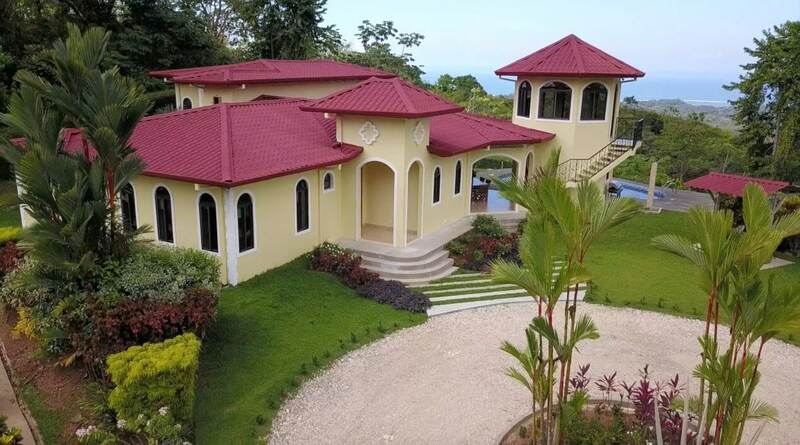 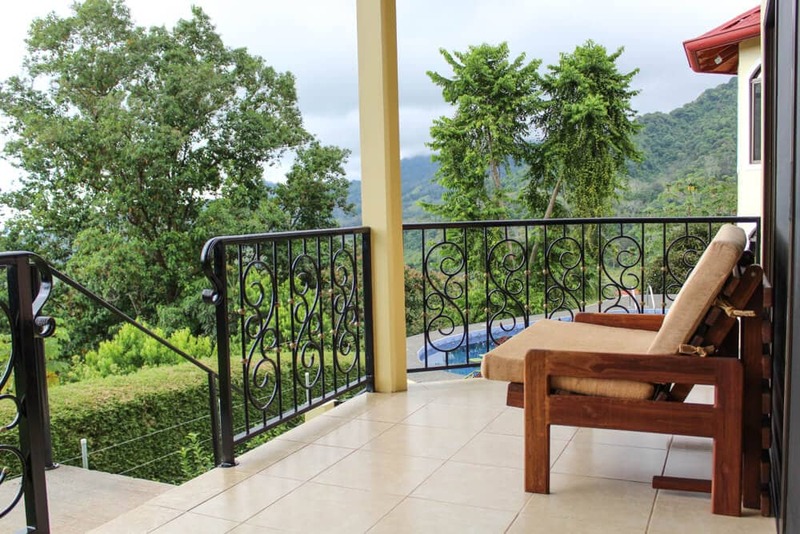 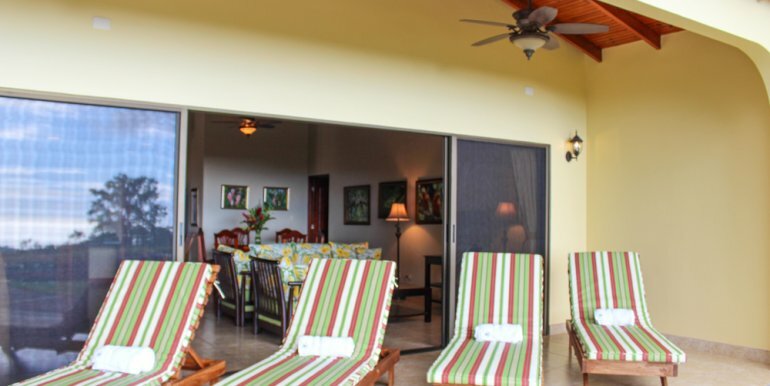 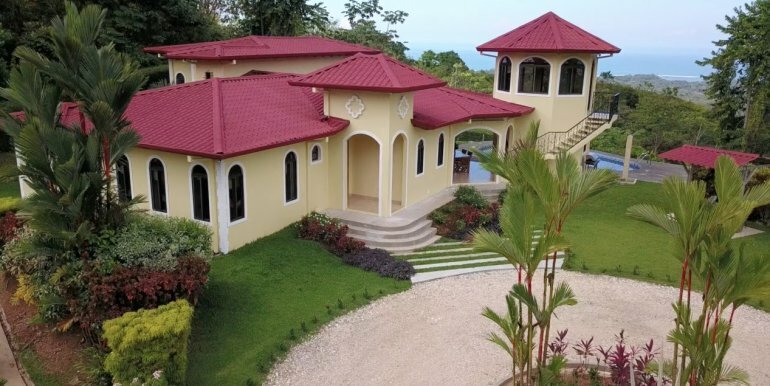 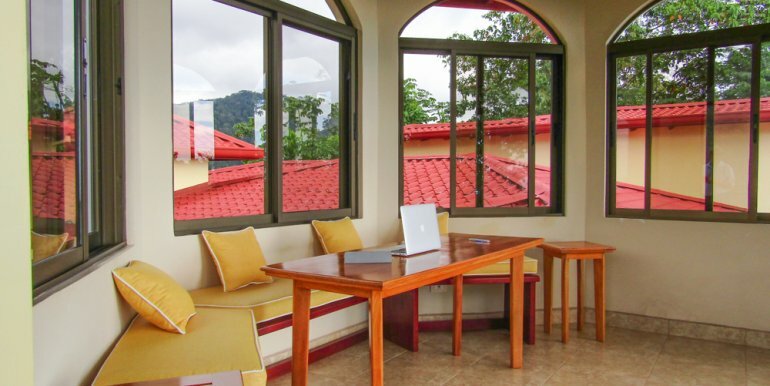 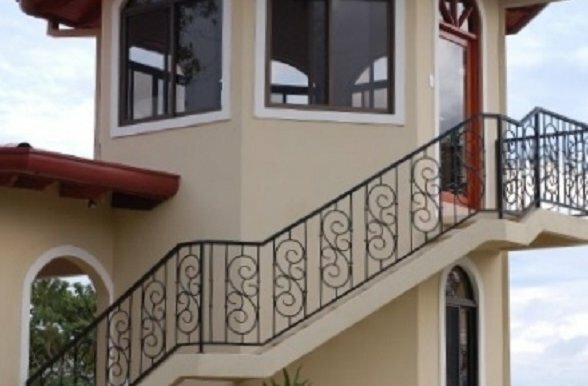 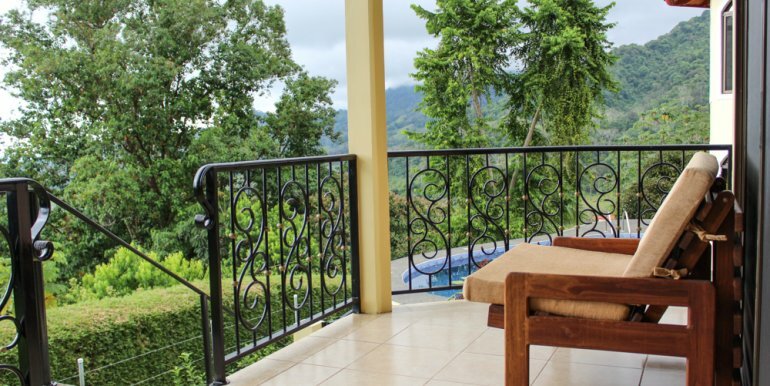 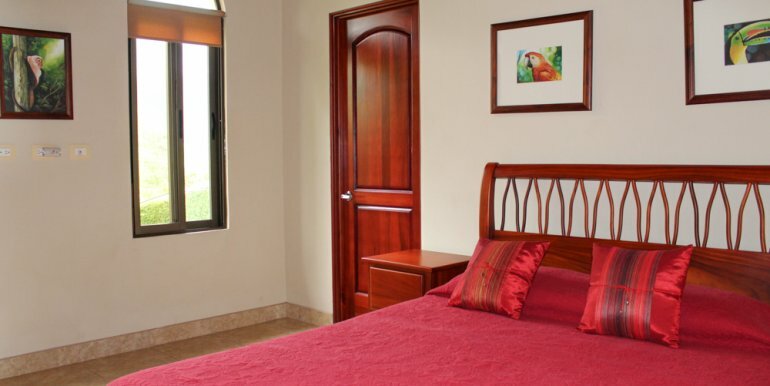 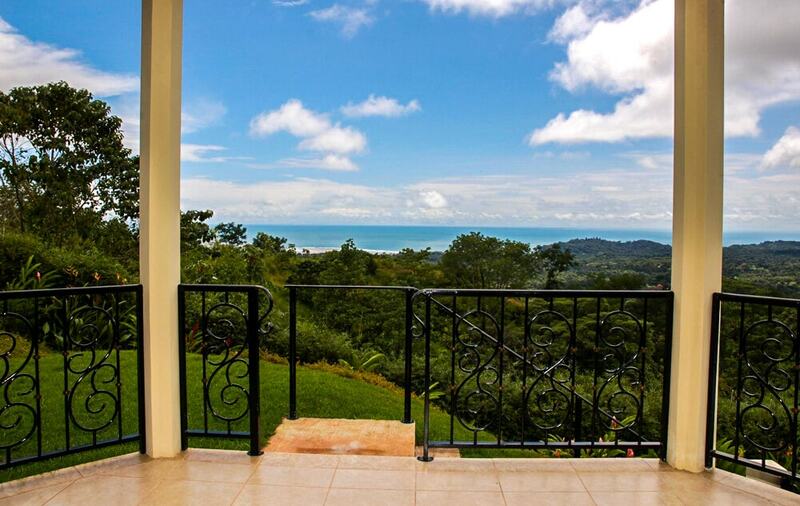 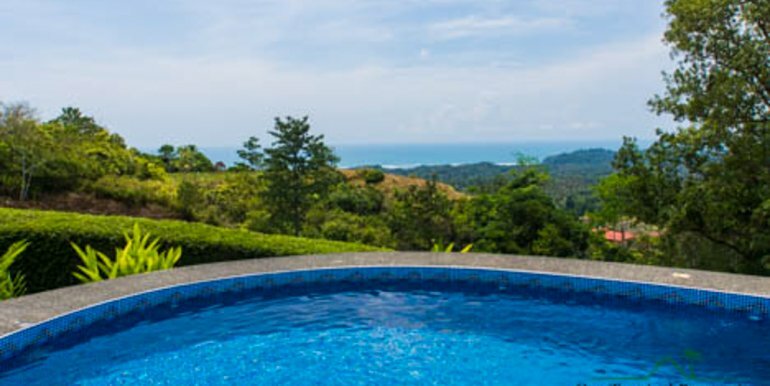 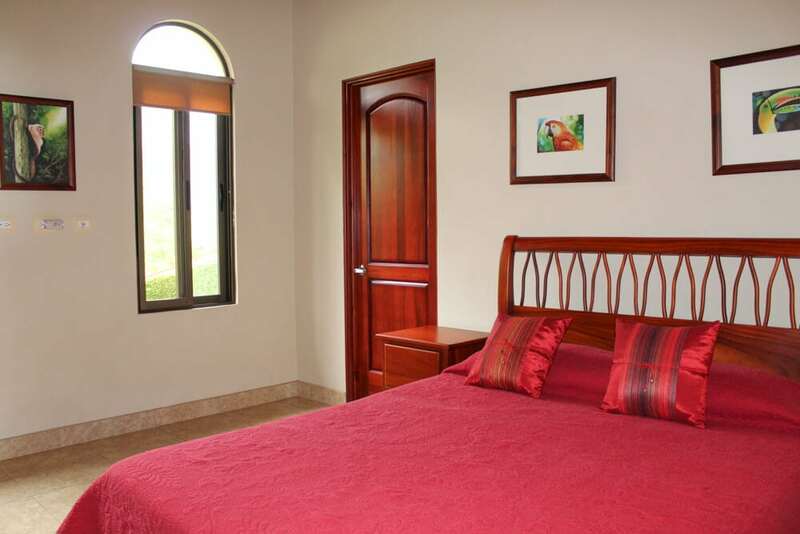 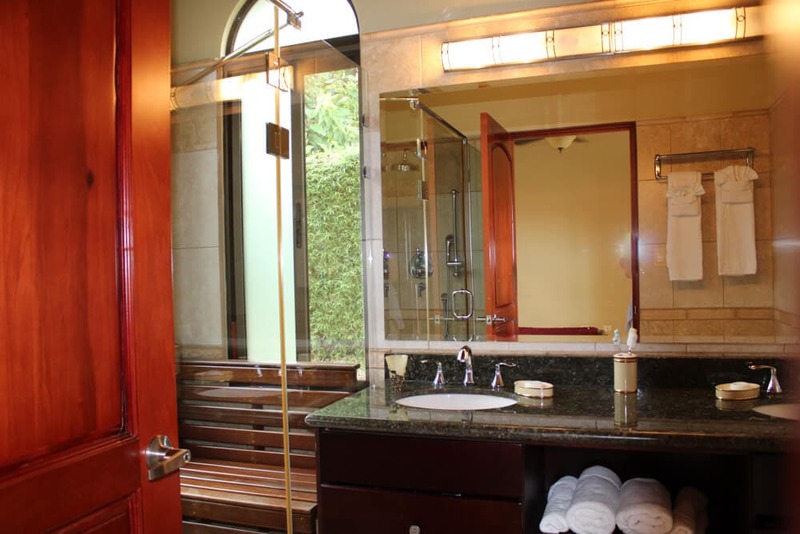 Southern Costa Rica real estate is hot and this property is located within a well-managed gated community in the hills above the international expat haven village of Ojochal. 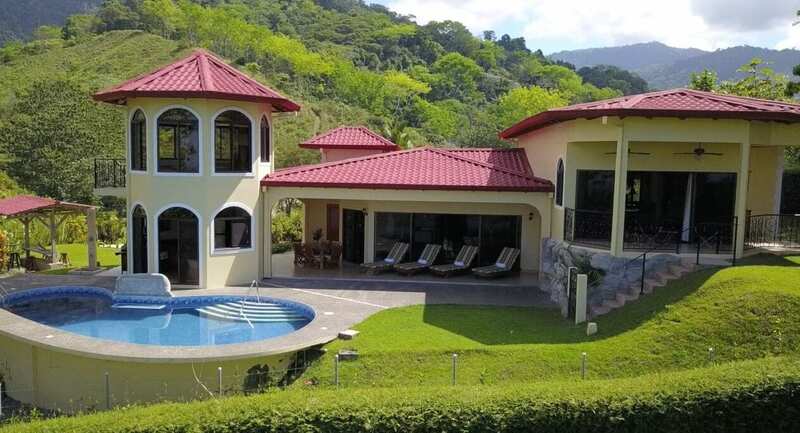 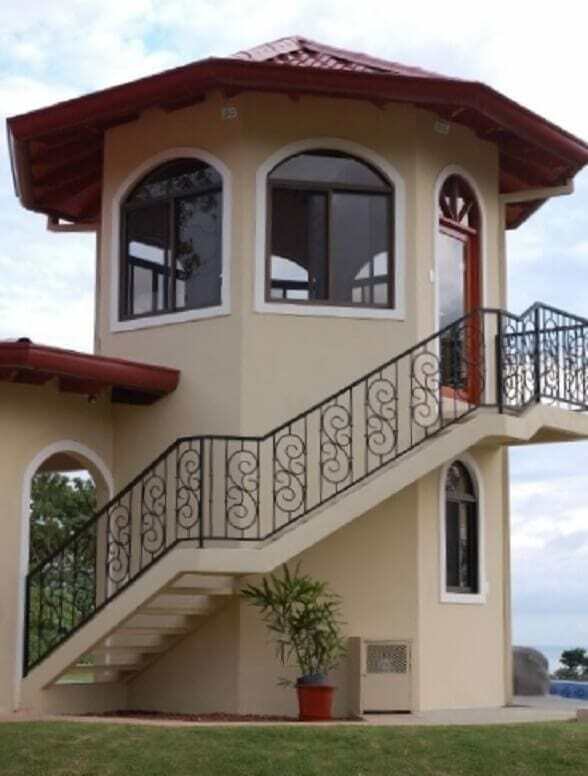 Enter the property of this home in Costa Rica through an ornate electric gate with remote control for your convenience, while bamboo hedge provides privacy and conceals the security fence. 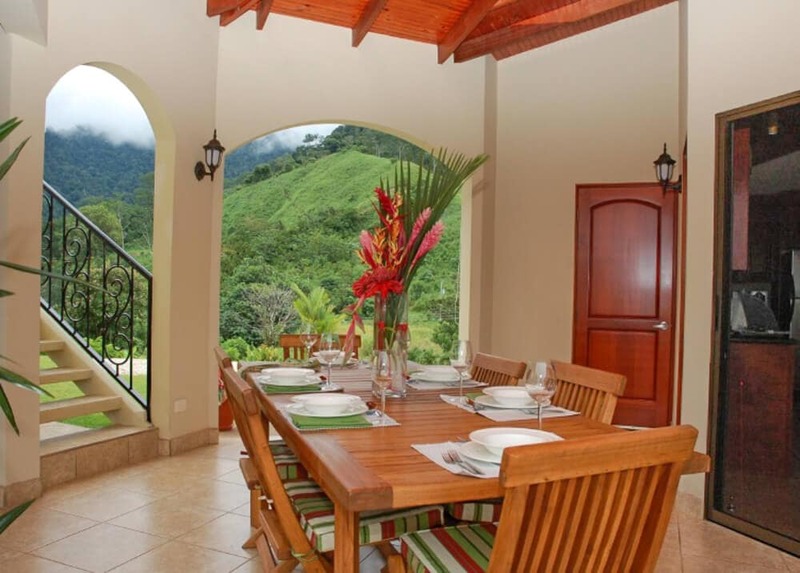 Pick your own fruit from the many mature fruit-bearing trees and admire the flowering plants, which are visited continuously by numerous bird species including aracari and toucans. 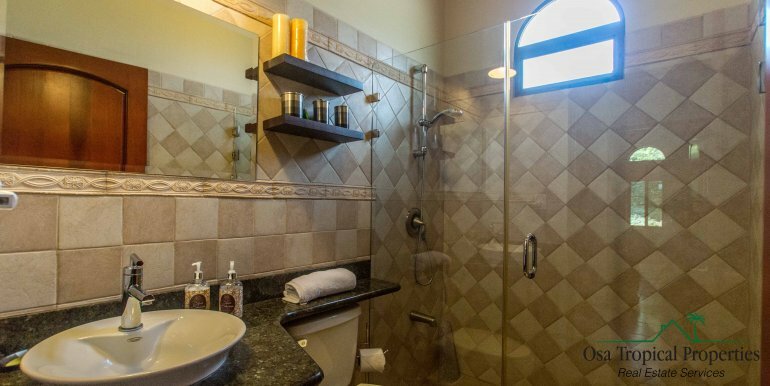 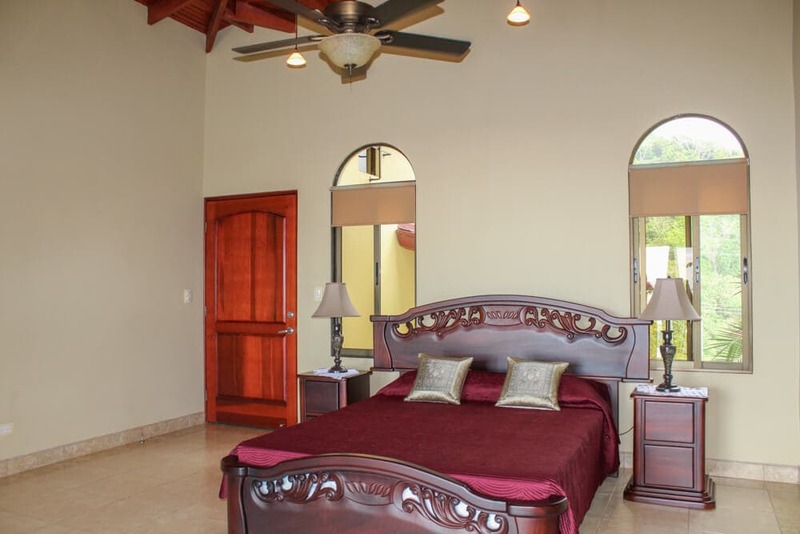 The tastefully decorated villa features vaulted wood ceilings and the owners spared no expense on solid cedar cabinetry and furnishings, all with incredible hand-carved details. 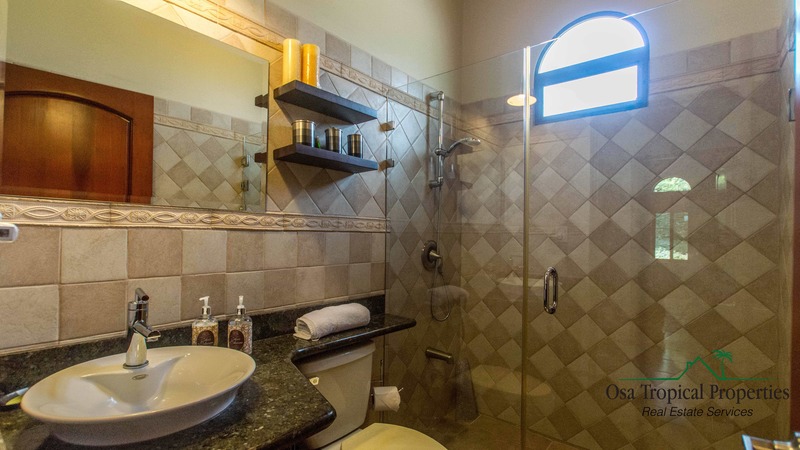 Situated on the main floor are two bedrooms each with full ensuite bathrooms, and a third bedroom shares a full bathroom accessible from the foyer. 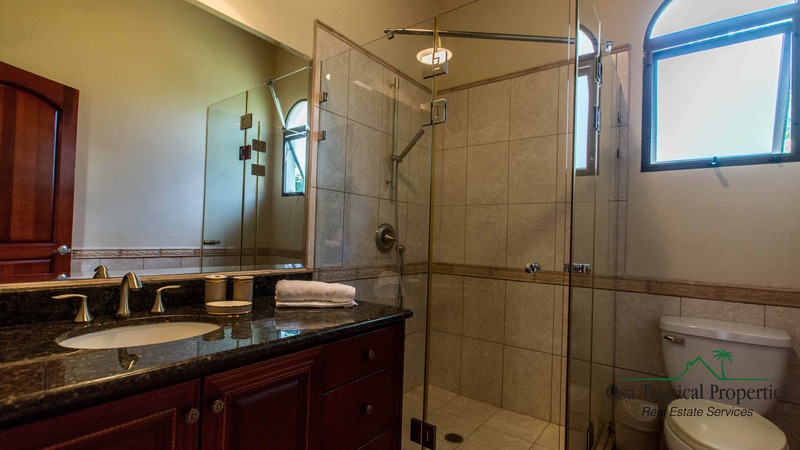 The stunning kitchen features stainless steel appliances, granite counters, loads of cabinet space, and a large walk-in pantry with open concept dining/living room. 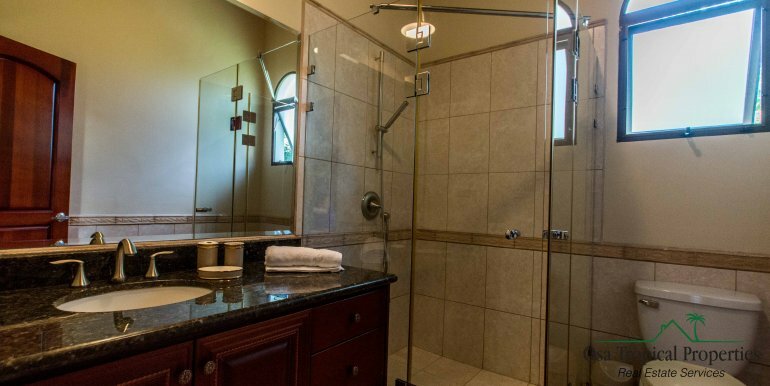 The spacious 730 sq. 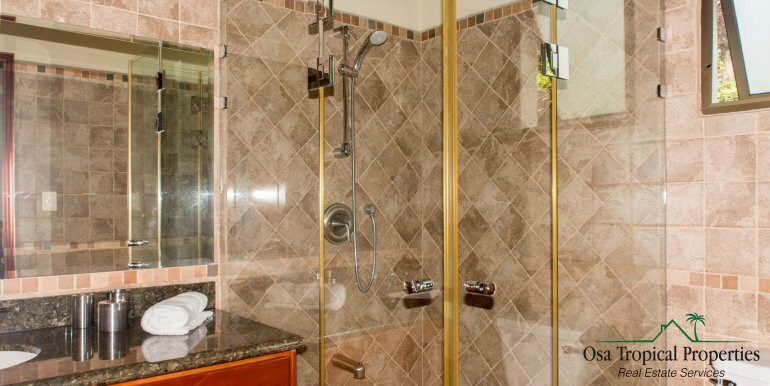 ft. master suite featuring ocean views on the upper level, is equipped with a sitting/dining area, private balcony and outdoor kitchenette. 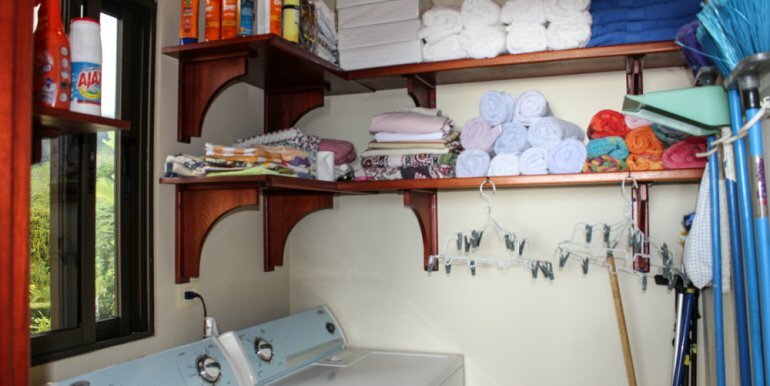 A walk-in closet also doubles as a safe room. 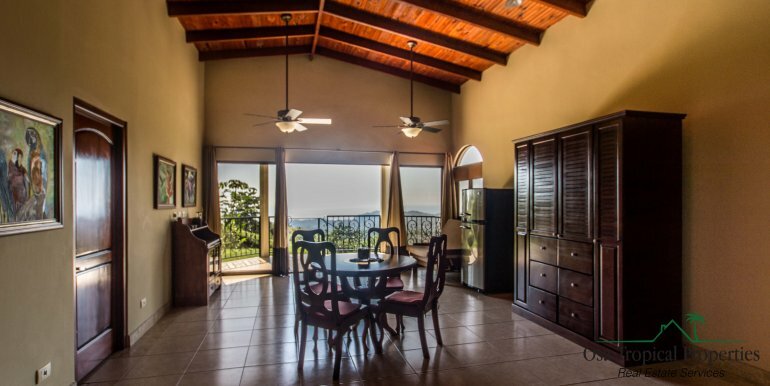 The living space of this home is just incredible, with the indoors flowing directly out to the terrace. 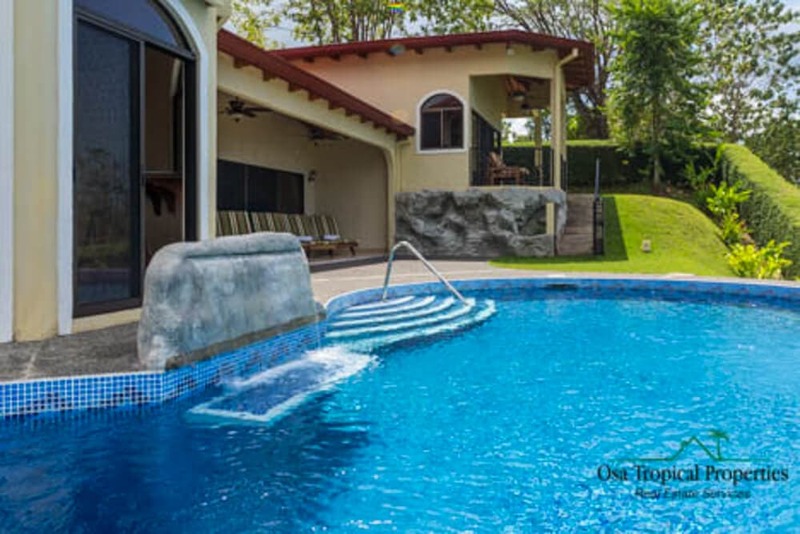 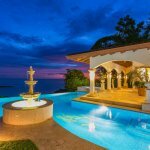 There, it meets with the large pool, which wraps around the rancho and features a waterfall and submerged bench to enjoy the spectacular ocean view. 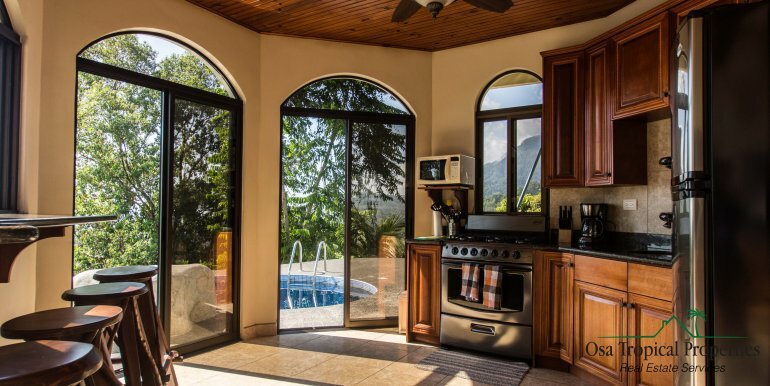 A full kitchen is available in the octagonal rancho just off the large covered terrace by the pool. 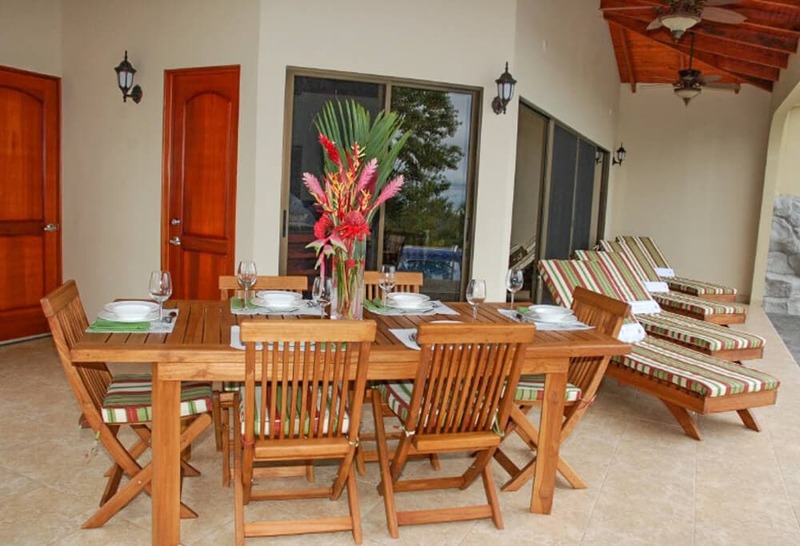 Dine outdoors at the teak wood table with seating for eight, while the gentle scent of the property’s Ylang-Ylang trees wafts through the air. 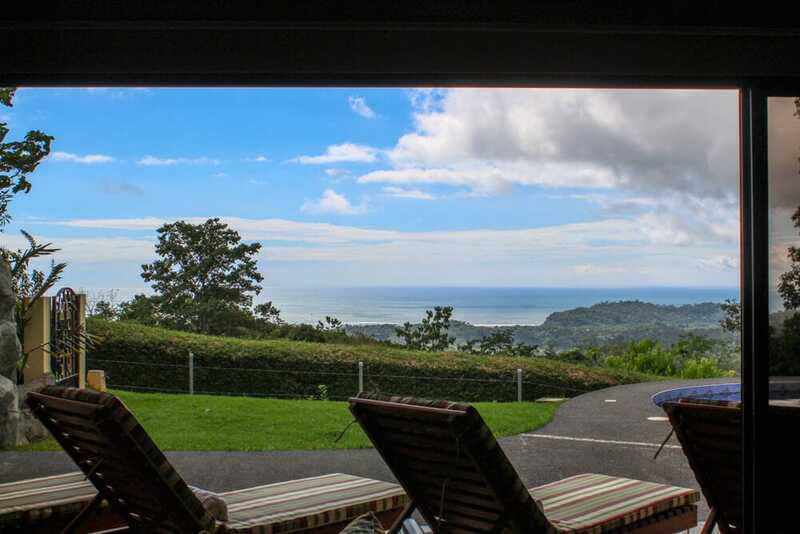 Enjoy a cocktail at the outdoor bar – converted from a vintage salt trough used on the property for cattle when it was pasture land years ago. 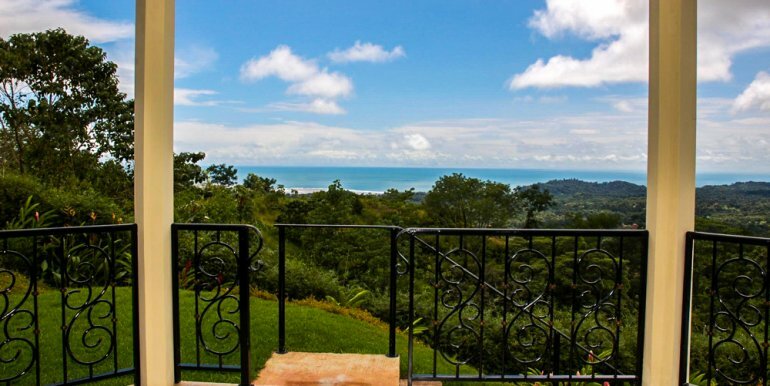 The observation tower could be used as an office or for pleasure, with 360-degree panoramic views to the ocean, mountains, and valley. 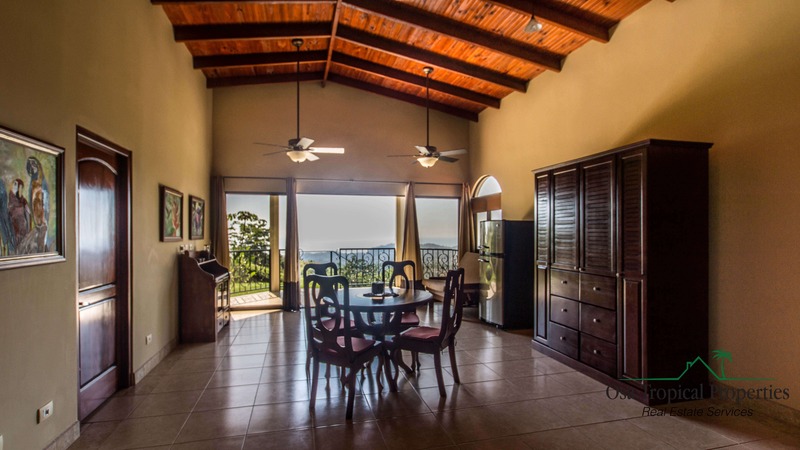 It is an amazing space for taking in the magnificent views and unforgettable sunsets. Though the present owners enjoyed this property solely for their own use, there is great potential for this property to generate an excellent income in the hot rental market of Southern Costa Rica real estate – between the master suite, complete with 2 private entrances and kitchenette, and the 2 bedroom caretaker/guesthouse your options are diverse. 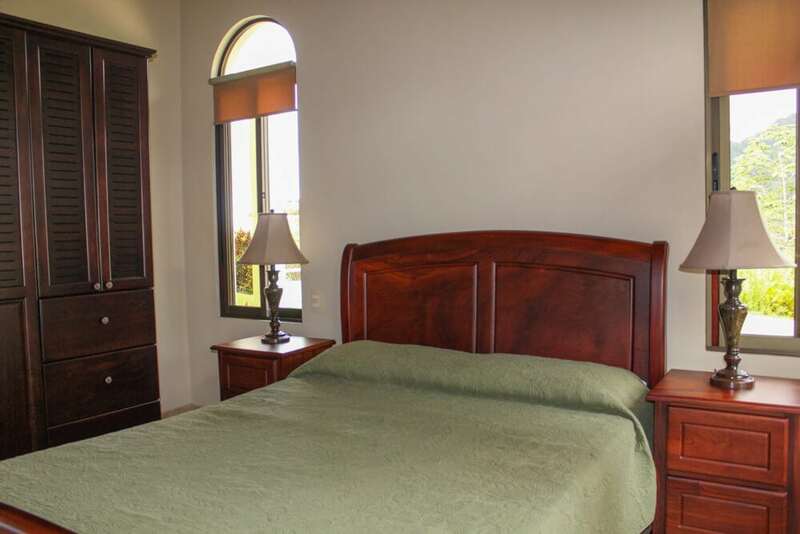 The master suite could alternate as a studio apartment suitable for rental, or for your own use if you have guests or tenants occupying the remainder of the house. 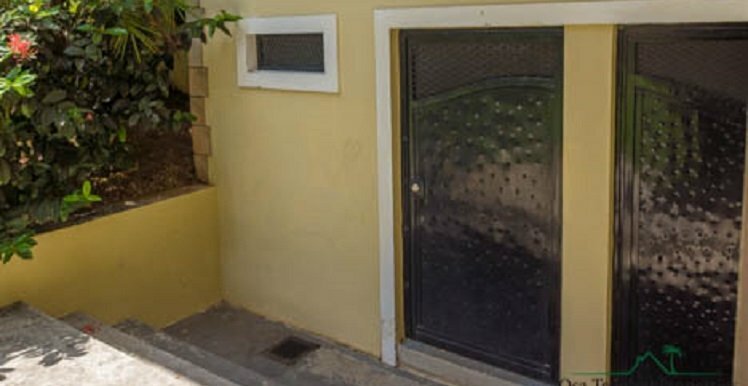 Additional features of this property include a 52 sq. 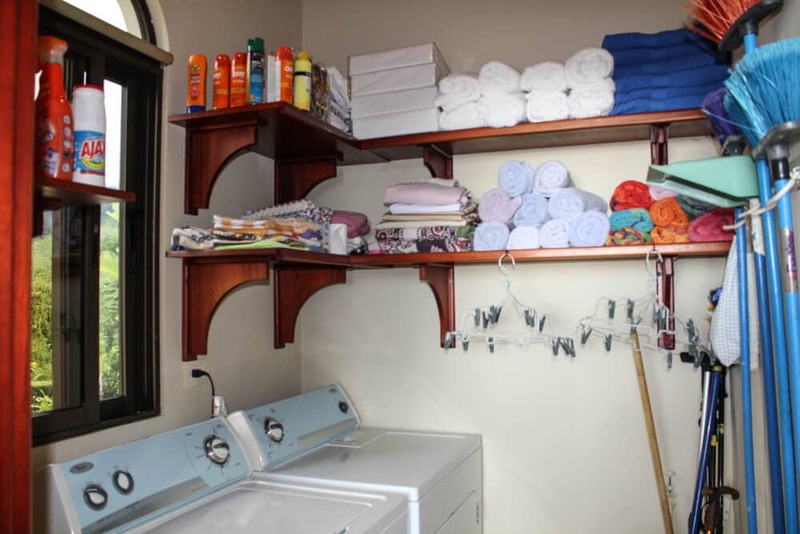 ft. storage/dry room, a second 244 sq. 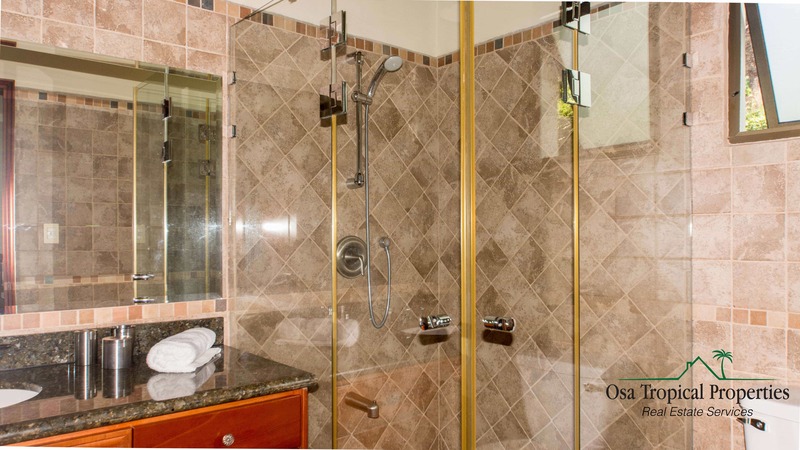 ft. storage room (great for sports equipment or business storage), a 485 sq. 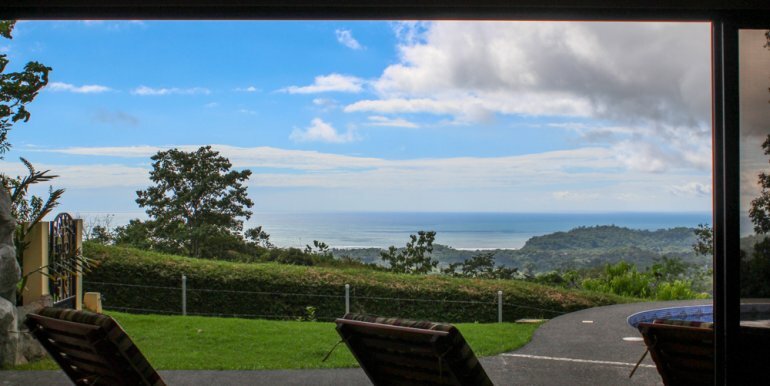 ft. two-car carport, and a 1200 litre back-up water tank. 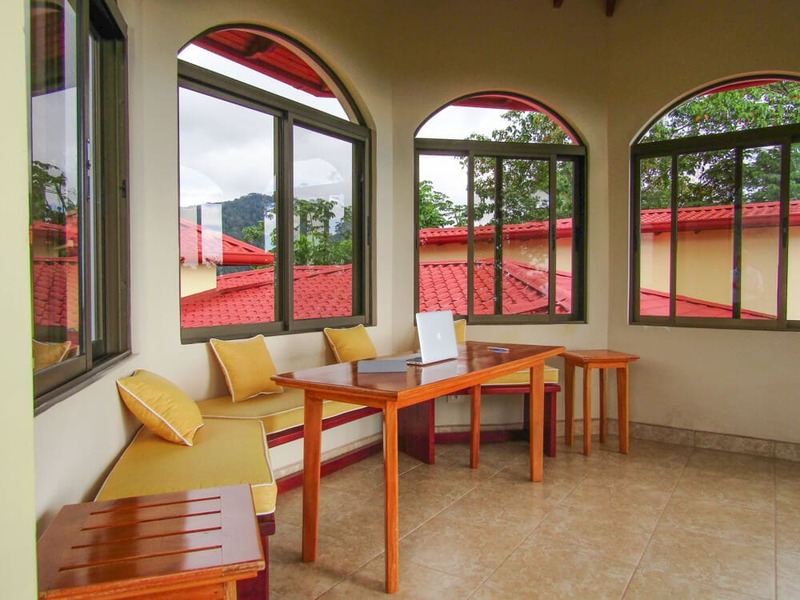 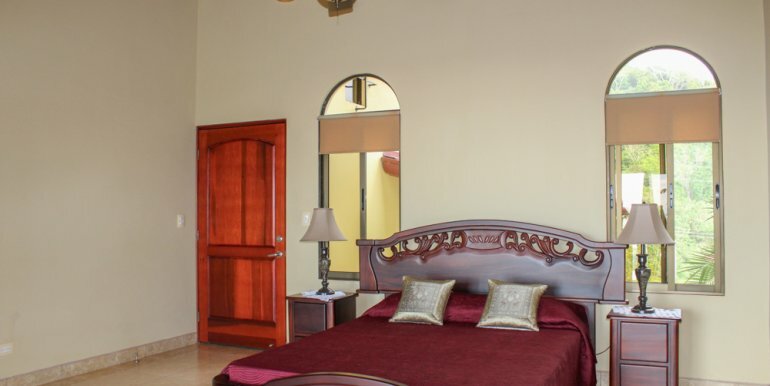 There is a two-bedroom caretaker/guesthouse house on the property with simple finishes and furnishings, featuring an open concept kitchen/living/dining room, with a terrace and additional dining area. 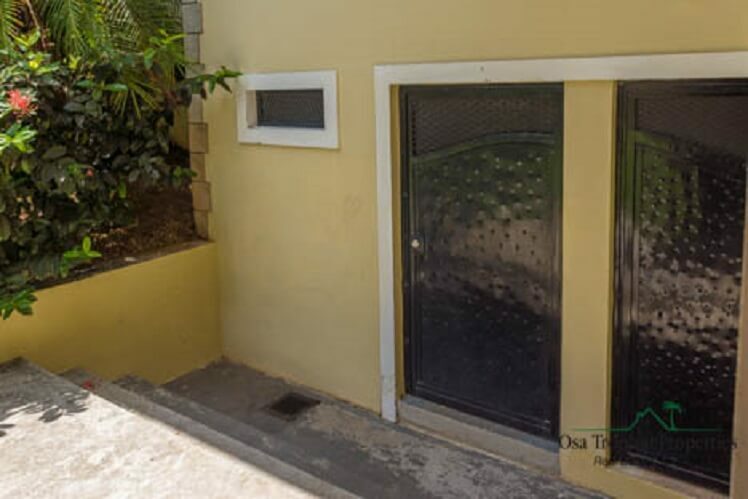 The property is presently maintained by an honest and reliable caretaker couple who have meticulously cared for the house since it was built in 2009. 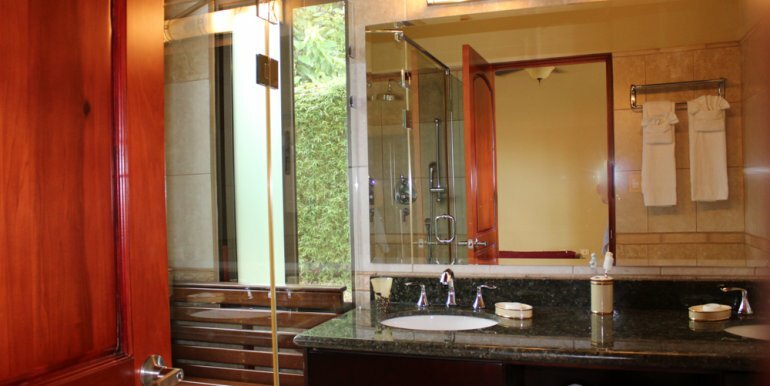 They are available to provide continued services if desired.